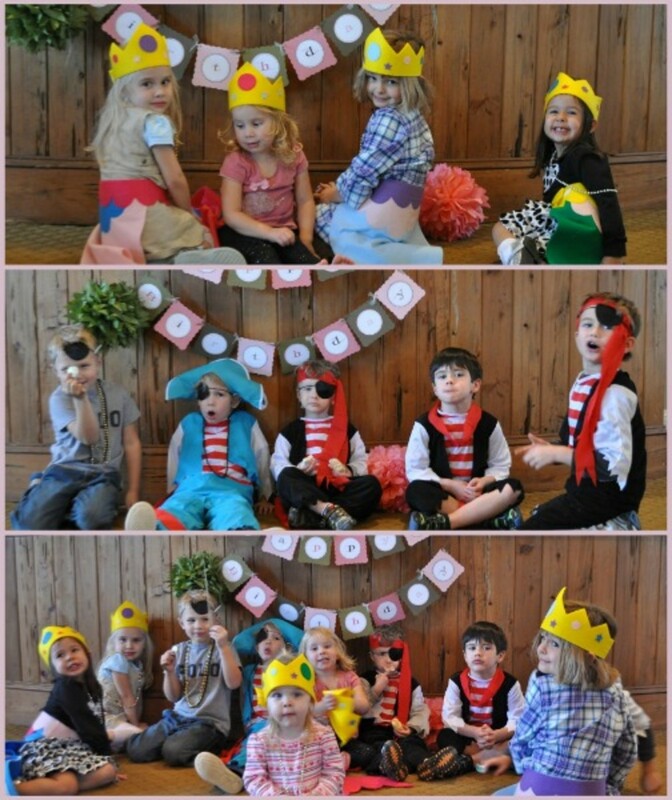 For the second year in a row we celebrated my kids&apos; birthdays with a joint boy-girl party. 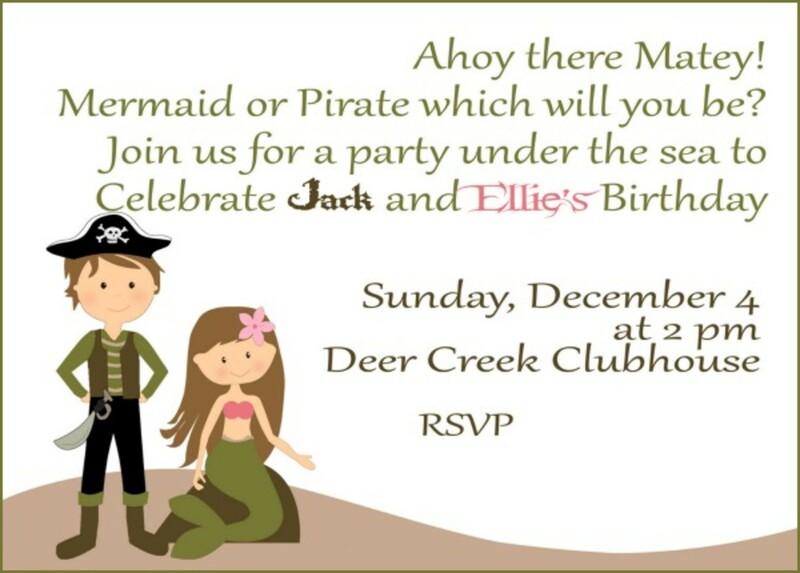 My daughter&apos;s birthday is mid-November and my son&apos;s is 6 days before Christmas - not easy times to plan parties! So, for as long as I can, I&apos;m going to throw one joint party. It&apos;s easier for time management and allows me to spend a little more money and effort on one bigger party. Last year we had a Barnyard Bash. 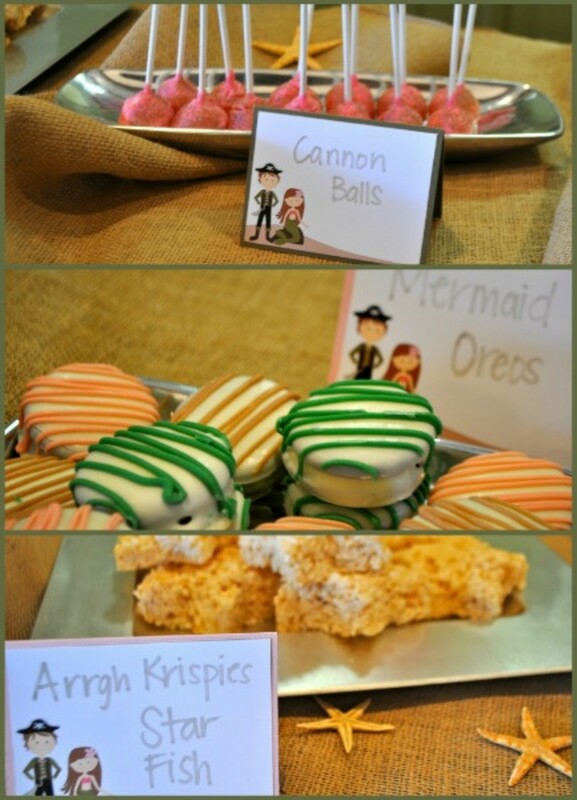 This year we went under the sea for a Mermaid & Pirate themed party. The party was from 2 to 4 in the afternoon so I didn&apos;t put much attention or effort into providing a lot of food. 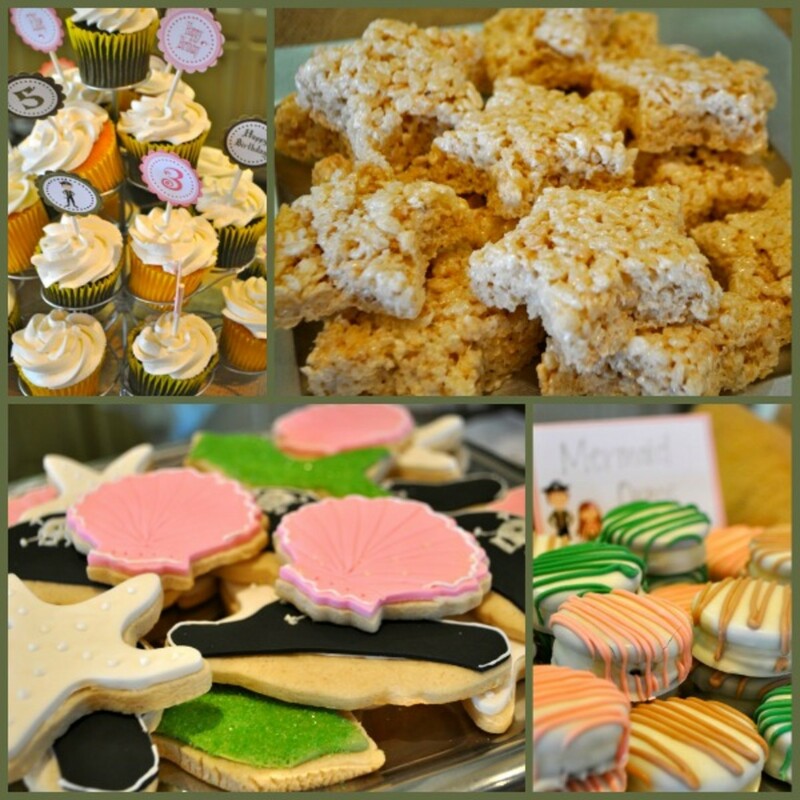 Call me a pregnant lady with a sweet tooth, but my attention was on providing lots of delicious desserts. 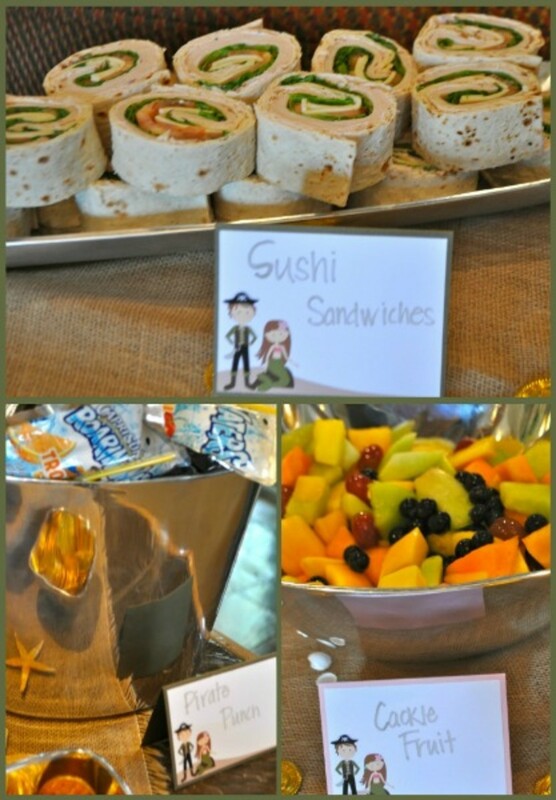 The food table had "Sushi" (turkey sandwich rolls), Goldfish, and Fruit Salad. We had "Pirate Punch" (Capri-Suns) and Water for the pirates and mermaids to drink. And for the good stuff... the desserts! We didn&apos;t do a cake and instead did a sweets table with lots of choices. 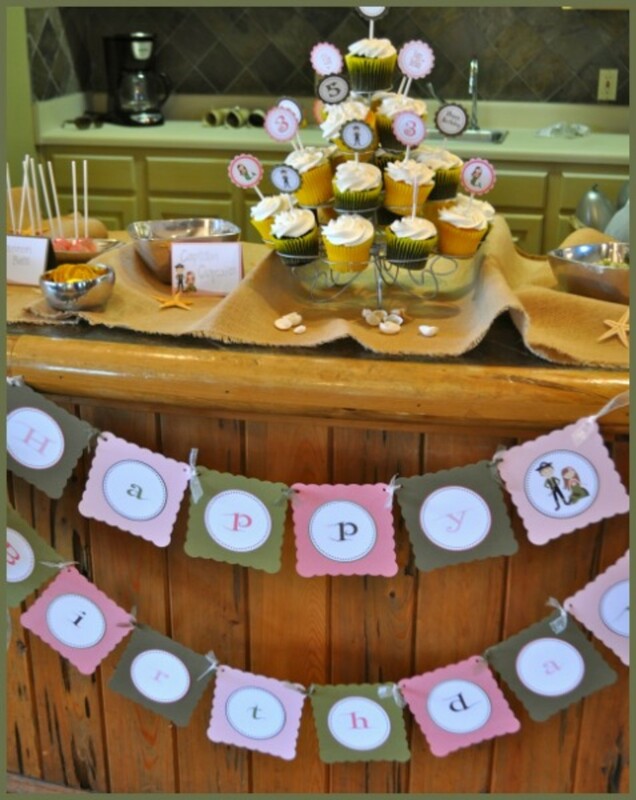 We had Cupcakes, "Starfish" Rice Krispies Treats, Sugar Cookies shaped like mermaid tales, pirate hats, shells and starfish, Chocolate Covered Oreos, Cake Pops, and Swedish Fish (of course!). We encouraged guests to take home some of the left over goodies (and there were plenty). 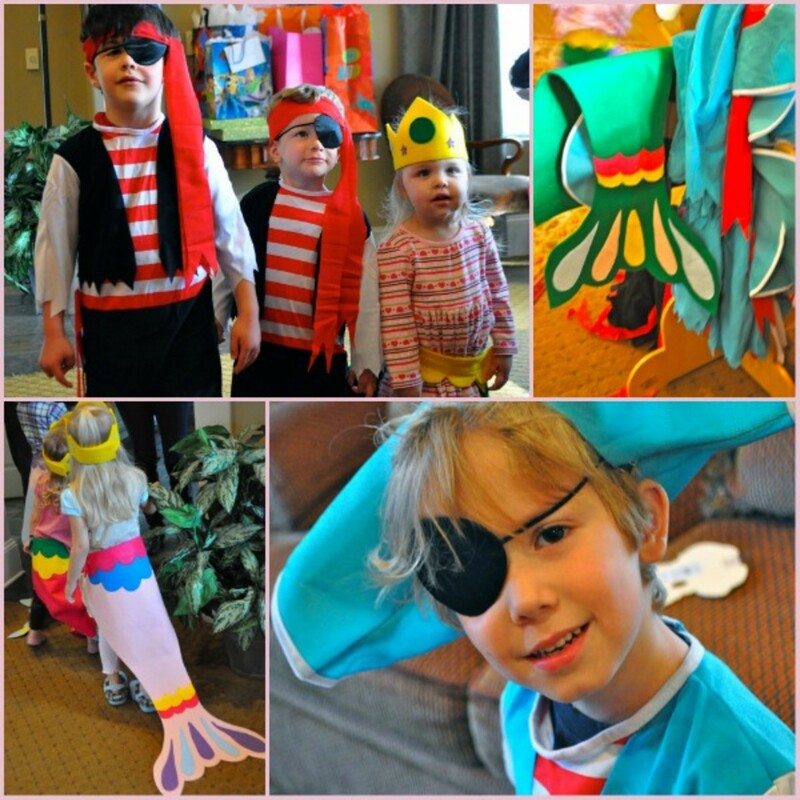 As soon as kids arrived, they got decked out and dressed up like either a Mermaid or a Pirate. 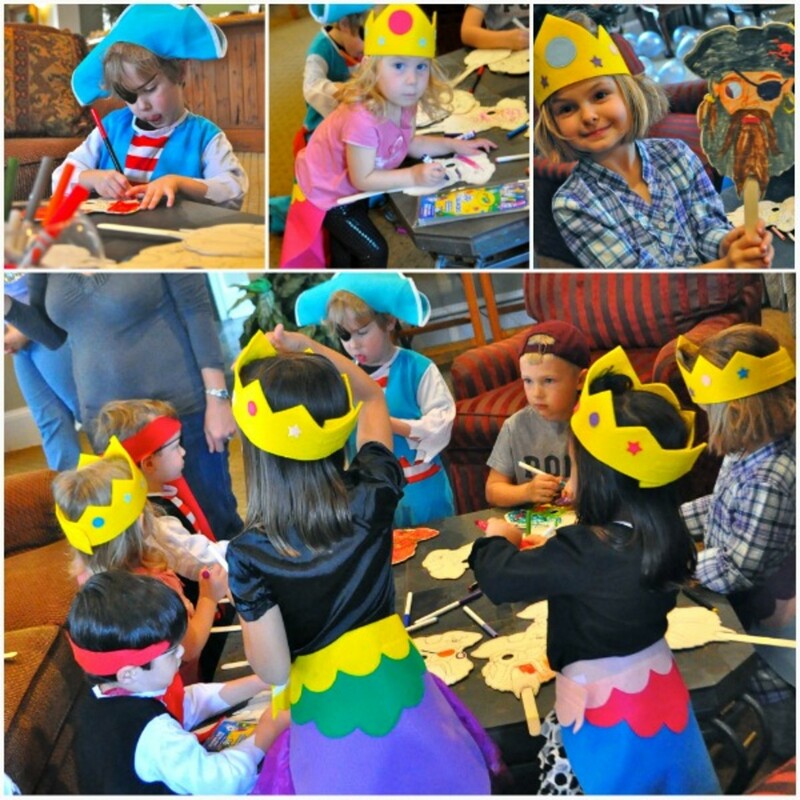 The Mermaid costumes - a felt tail and crown - were handmade by my mom and were just perfect! The pirate costumes were from Little Tikes. Having the kids get in character was a blast and all the kids really got into it. They gave each other pirate names and said "Arrgh!" a lot. Once dressed, the kids Decorated Pirate Masks I found at Michael&apos;s for $1 a piece. I thought it would take up all of 3 minutes, but the kids actually sat around the table and colored for a while. It was a good activity to have kids doing at the beginning while everyone was arriving and getting dressed. Next we played a last minute addition to the party called Cannon Ball Pop. 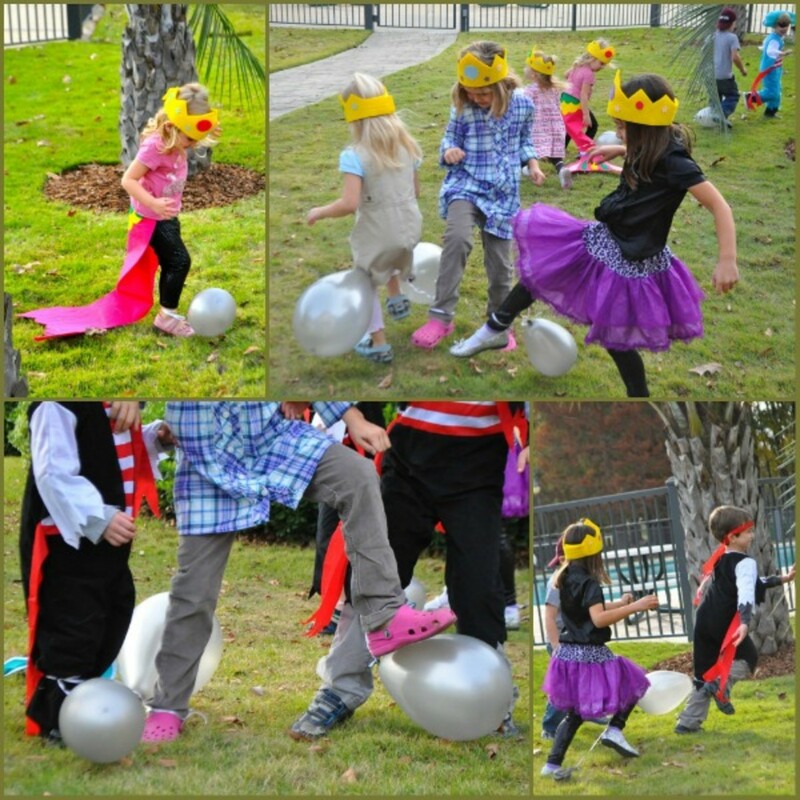 The goal of the game is to pop everyone else&apos;s cannon ball (dark colored balloon tied to your ankle) and be the last one with a balloon. I wasn&apos;t sure how well the game would go considering the kids were definitely on the young side of the target audience for the game. But, it was a huge success and totally hysterical. The kids got into it and were totally good sports about it. 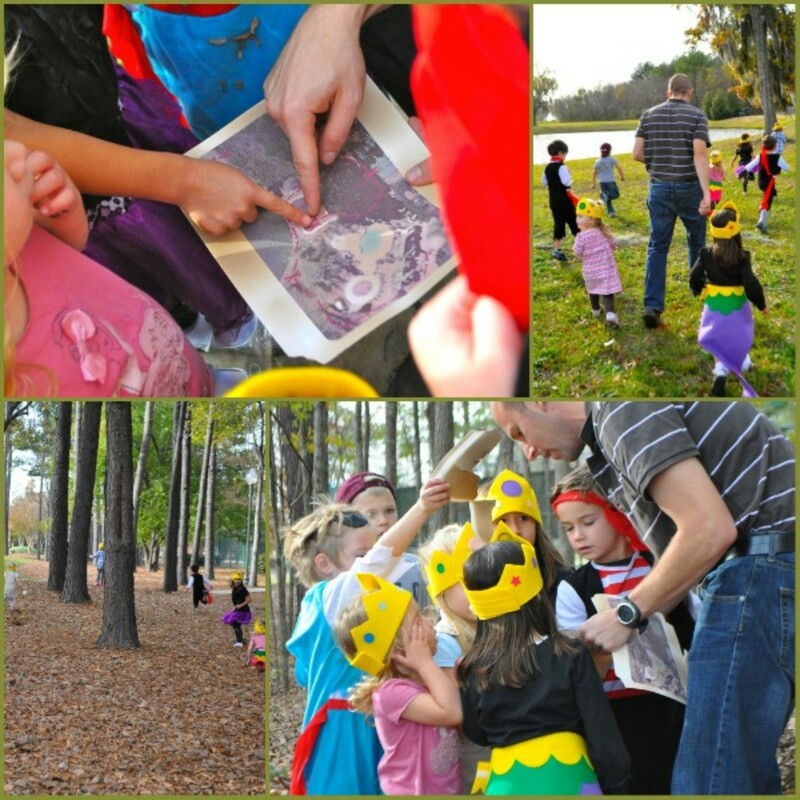 Our "big" game of the day was a Treasure Hunt. We took advantage of having the party at the Community Center of our neighborhood and sent them on a hunt around the area. We made a treasure map that showed the location of three clues and also the treasure chest. 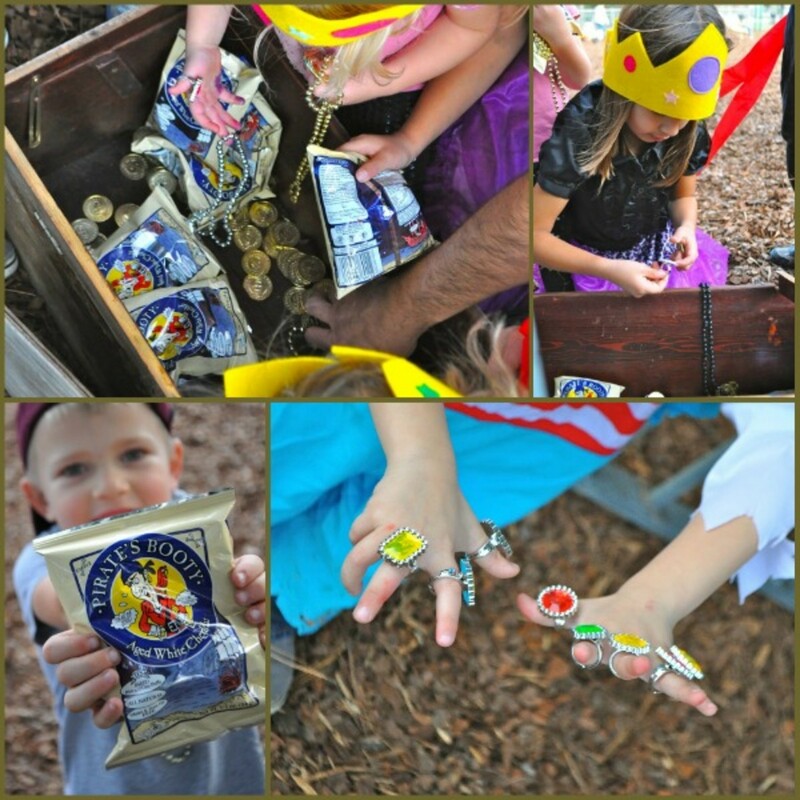 The clues spelled out the words "A Pirate&apos;s Life For Me" and the kids had to yell those magic words to get the treasure chest to open. My husband was the hunt-leader and I think he had as much fun as the kids. The treasure chest had beaded necklaces, jewel rings, gold coins and, my favorite, Pirate&apos;s Booty. I happen to think that&apos;s totally funny and clever - yes, it was my idea. 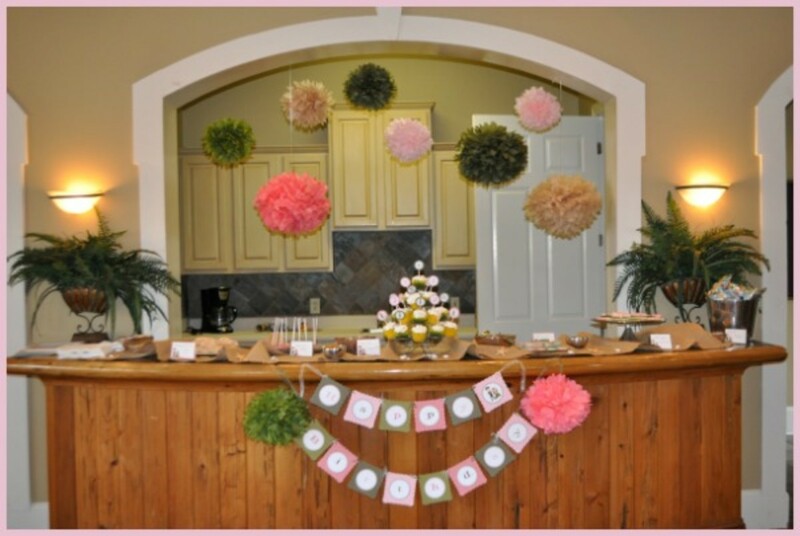 The party was worth all the planning and time and effort when my daughter said, "This is my most favorite party ever." Here are some of the happy mermaids and pirates at the end of the day - remind me next year to get a group photo early in the party!